Pastor Waggoner teaches us what we should do when we encounter an evil heart. 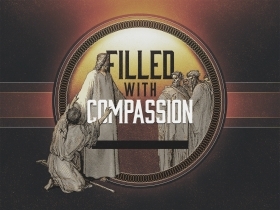 Pastor Waggoner discusses how we can be more like Jesus in our caring and compassion. Pastor Waggoner discusses the balance of operating on God’s principles while loving people. Pastor Jesse shows us what life looks like without Jesus and what life looks like with Jesus. See how Jesus ministers to those broken by self-righteousness and unrighteousness. Sometimes God uses people like us to show compassion to a hopeless heart. What can we expect from Jesus when we take our concerns to Him, and what can we expect when we obey His instructions? Sometimes the way things look is not the way things really are.